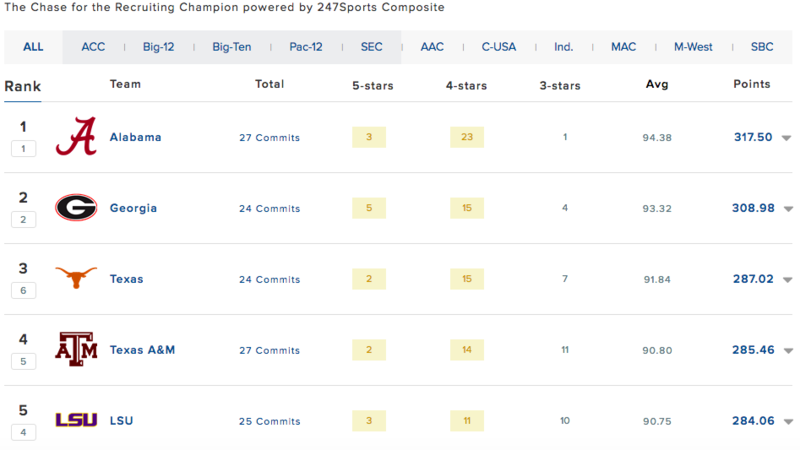 Alabama has the top recruiting class is like saying the grass is green or the sky is blue. It doesn’t surprise anyone, and to many, it’s not newsworthy. That’s about as good of a problem as one can ask for. 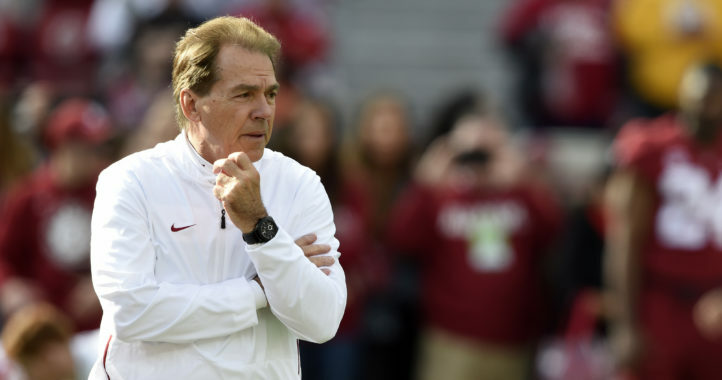 But even Nick Saban would admit that his top-ranked 2019 class, while loaded, isn’t perfect. There were areas that weren’t addressed enough and players who got away. So yes, though it might seem nit-picky to say anything bad about landing a No. 1 class for the 8th time in 9 years, that’s what Saban will do. That’s also what we’ll do. It’s easy to take it for granted if you’re an Alabama fan. If you sign the No. 1 class for 7 consecutive years, it becomes a ritual. It’s almost like a spoiled kid on Christmas morning. You expect to see more presents under the tree than you can count. After last year’s hiatus from the No. 1 spot, Alabama got back to being the spoiled kid on Christmas. We knew heading into Wednesday that the Crimson Tide put themselves in position to lock up the No. 1 class with 24 recruits already signed. It was just going to be a matter of how significant of a victory it was going to be. In a year in which the SEC took 4 out of the top 5 spots, finishing No. 1 was quite the feat. Think about what this means from the bigger picture. Go back to the Early Signing Period following the 2017 season. Georgia is closing in on this historic class having just won an SEC Championship while Alabama was just trying to get into the top 5 coming off the Iron Bowl loss. All the “passing of the torch” narratives were in place. Since then, not only did Alabama essentially end Georgia’s national title hopes twice, but it also got back to being the cream of the crop on the recruiting trail. That’s pretty impressive considering all the staff turnover Alabama had during that stretch. Perhaps a new streak is beginning. Rare it is that elite programs sign multiple quarterbacks. Extremely rare it is that elite programs sign multiple elite quarterbacks. That’s what Alabama did. That wasn’t news Wednesday, but it is worth bringing up again. Having Taulia Tagovailoa (Tua’s younger brother) and Paul Tyson (Bear Bryant’s great-grandson) in the same class is going to make for one of the more juicier quarterback battles we’ve ever had in college football. The stage is set for the 2 Alabama legacies to battle assuming the elder Tagovailoa leaves for the NFL Draft after the 2019 season. It might surprise some that both committed to Alabama in the first place. 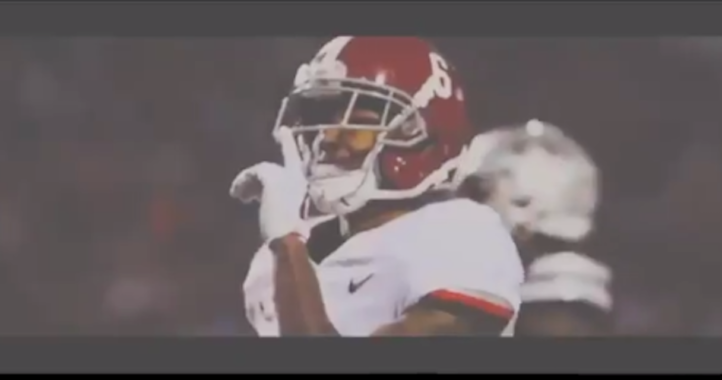 Tyson actually gave his pledge to Alabama 2 weeks before Tagovailoa, who at least entertained other interest but never dropped his commitment to the Crimson Tide. That’s huge from a depth standpoint after Alabama whiffed on a quarterback last year and Jalen Hurts just transferred to Oklahoma. The younger Tagovailoa and Tyson can redshirt while Mac Jones serves as the backup for the Heisman Trophy runner-up. I’d say that’s a pretty solid quarterback room. Rare it was to watch Alabama fail to impose its will in a football game. Against Clemson, that was the case. That’s why Alabama struggled so much on key, short-yardage situations. Now, Alabama’s top 2 offensive linemen, Jonah Williams and Ross Pierschbacher are gone. Left guard Deonte Brown will also be suspended for the first 4 games of 2019 following a failed drug test. In other words, Alabama needs some depth up front. Fortunately, the Crimson Tide got it in a big way with this 2019 class. Alabama signed 5 offensive linemen in the Early Signing Period, all of whom were rated 4-stars or better and all of whom were early enrollees. Three of them (Evan Neal, Pierce Quick and Amari Kight) were ranked among the top 80 recruits nationally. That’s key after Alabama signed just 2 offensive linemen in 2018, neither of whom was ranked as a Top 100 recruit. In a perfect world, the incoming freshmen can redshirt. But in all likelihood, some are going to need to get up to speed in a hurry and become rotational players. 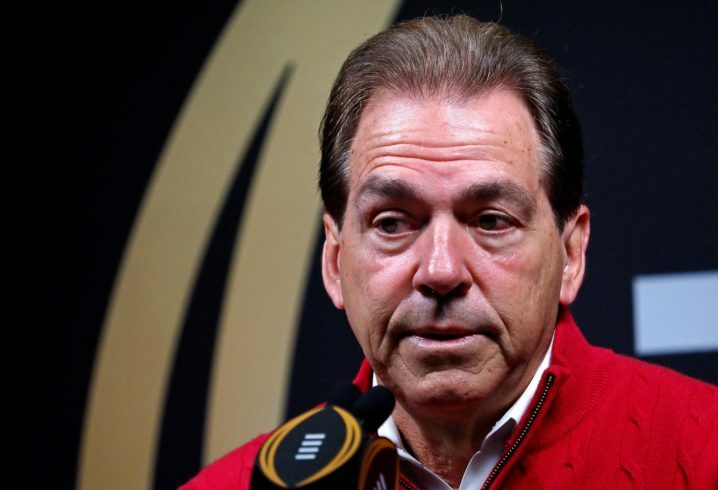 Saban would have loved to have added 5-star offensive tackle Darnell Wright on Wednesday. Still, he has to be feeling pretty good about the needs he addressed on the offensive line. Let’s actually start with the good news here. Four-star defensive tackle Byron Young was committed to Alabama, but he took an official visit to LSU this past weekend. He, however, stuck with the Crimson Tide. Consider what Alabama had to replace the past 2 years with Da’Ron Payne and Quinnen Williams, help on the interior was extremely important. That’s a ton of incoming playmakers on the defensive front. There are probably a handful of All-SEC players in there. That’s the good. OK, so now let’s get to the bad. That wasn’t the only flip. Four-star cornerback Christian Williams, who had been committed to Alabama since April, flipped to Miami. 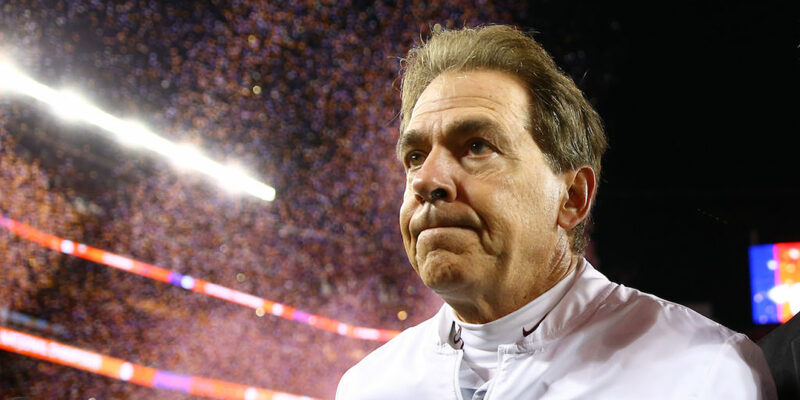 Even though that was long expected, that still wasn’t the news Saban wasn’t hoping for. You can preach about why kids shouldn’t go to a school because an assistant coach all you want, but moves like that serve as a reminder that relationships matter when 18-year-old kids are making the biggest decision of their lives. Alabama having such massive staff turnover makes it inevitable that it’s going to lose recruits it hoped to hold onto. That’s life. The negative recruiting that one can do speaks for itself. Being able to tell a kid that the coach who recruited him will probably be gone in the next year matters. That’s the nature of this business. Will Alabama be fine? Sure because it’s still Saban. But there will be flips like that as long as this trend of Alabama coaching staff turnover continues. Every catch that Justyn Ross made in the national championship had to just feel like salt was being poured straight into the wound. It had to crush Alabama fans knowing that the in-state receiver who surprisingly turned down the Crimson Tide for Clemson was a bonafide star as a true freshman. For the second year in a row, the No. 1 recruit from the state of Alabama is a receiver. And for the second year in a row, he isn’t coming to Alabama. George Pickens, a longtime Auburn commit, isn’t going to Alabama. In fact, Alabama wasn’t even among his finalists. Georgia, Miami and Tennessee all made a late push for the Hoover standout, yet Alabama couldn’t get a seat at the table. Instead, Pickens picked Georgia. That means the 2 biggest threats to Alabama (Clemson and Georgia) have gone into the state and plucked the top recruit in consecutive years. Part of that could be the fact that Alabama is loaded at receiver. Returning that much underclassman talent in this era of freshmen skill players becoming stars probably didn’t help. It also probably didn’t help that Alabama’s offensive staff has been a revolving door for the past 2 years while Pickens’ recruitment picked up. The good news is that while Alabama missed out on Ross and Pickens the past 2 years, the top receiver in the state from 2017, Henry Ruggs III, has some massive expectations after a breakout season. That’s the case for the entire position group, which looks like one of the best in America. But certainly Alabama wishes it was a little richer at the position. Kris Bogle sited coaching change. Yet Florida’s defensive coach and his recruiter Sunseri left for Alabama and becomes his new recruiter and then he ends up in Gainsville spouting his nonsense. The greater truth is Bama recruits so well nationally, these few criticisms become trivial in a hurry. Bama just reloaded, again. Deal the cards. One, I didn’t say that Sunseri was his position coach. Two, he was listed by many services as Bogle’s primary recruiter, including Bama Online. Hey, why not just go ahead and give yourself a big hand, jerk. From what I understand, he was or is borderline academically, and also seemed to be more of an attention-seeking recruit than Alabama usually grabs. I don’t think Alabama has been pushing for Pickens for a long time. Also, Christian Williams wasn’t a flip, because that implies that he still had a signable offer. But it seems he lost that when he didn’t sign early, and Alabama then signed 5 DBs. He wasn’t really a commit after the ESP.